Like most of you I have been thinking a lot about what I want to create in the New Year. I have been through a lot of changes in my personal life in the past two years along with starting Bamboo Leaf Tea and I wanted to really get clear on where I was going and what I wanted to accomplish in the next 12 months. Here are a few ways that I am working on my list this year and I thought I would share them with you. It never ceases to amaze me that showing up consistently is 70% of the game. So dig in and focus on what you want then take some steps that move you in that direction. If by June you have fallen to the side just get back on and try again. Everyday is a new beginning. So on my list are things that have been on my list forever. Things like exercise regularly and make healthy foods for me and my kids. (By the way my son asked how I could make New Year’s resolutions for other people and my answer was that as a parent I got to do that until he was at least 18. 🙂 Those two items have been on my list and probably yours since I started making a list. But when I think about it they are not a goal that you achieve and then it’s done. They are a life style a choice of what I want to do everyday. And while I might be busy and not have time to catch a yoga class today I do try to get to the gym so many times a week. This is a commitment that I make to myself to value my body that I live in and take care of it. It is also something that I build on every year. If I look back over the past ten years and especially over the last twenty I can see how far I have come. I find this to be encouraging because I know that I am trying new things and having fun with it in the mean time. I re-commit every year at new years when I resolve to continue on this path and I look for new areas of health that are exciting to me and find ways to bring them into my life. Other parts of my list are a lot more goal oriented. For those goals I am trying this year to get really specific. I would like to increase my income so I am listing exactly how much I would like to make this year. I am then writing some ways that I might start to take action on these goals. Next to each goal I am also writing ideas of what emotional blocks might be holding me back. I have found that most of the goals that have not gone as far as I wanted them to were because of an a conflicting part of me that blocked it’s progress. So I want to make more money but I feel like it might make me a different person then I am. Or I want to forgive someone but then I can’t play the victim and feel sorry for myself. When I can see what emotional block might be keeping me from achieving my goal I can work on letting it go and truly committing to my future self. A few goals on my list involve accepting help even if it isn’t exactly the way that I want it. That’s a tough one. So maybe there is something that you need to get assistance with but it comes in a form that isn’t how you would have done it. Letting go of the control can be painful but it can also be balancing. This doesn’t mean that you need to let your quality of life go or let your responsibilities lag. It does mean that others may help you in ways that might surprise you or that you might try seeing their help in a different light. Try visualizing that help all the way through and then open up to the possibility that it might even be better in some ways. Committing to an expectation of another person is sure to disappoint but allowing for the idea that something different from your way could be just that something different opens up more possibilities and if it really doesn’t work ask someone else and try again. The key word is accepting. You can’t control someone else, their actions, their feelings, or their beliefs you can only choose to accept what they offer or move on. I try to every week take actions that contribute to the bigger picture and then to make room for committing to my everyday life. To go too far into one or the other gets me out of balance. If I am always thinking of what I am going to do I miss out on the now. If I don’t take time to make that juice or take that walk I won’t be ready for the big stuff coming. Overall my goal this year is to truly commit to the goals that I want to reach. In doing so I may need to let go of some crutches and I may need to limit my choices. So here we go. Happy 2013! We all have names. Ones that we are given at birth or that we acquired somewhere along our journey and these names are significant to us. They represent who we are and where we come from, they denote lineage, and evoke emotion. Mine was given to me at birth and forever connects me to the place from which I come, India. Bamboo is a name of a grass but it’s name is more than that. Bamboo is a word that was introduced by the Portuguese during the 1500’s and became the Latin work bambusa. It’s origin is not known but it is thought to have come possibly from India or Malay. In the west we associate it with Asian Zen. It evokes calm and tranquility. In the east it has many meanings mostly referring to it’s beauty and it’s strength. I find that most people have an immediate connection to the word bamboo even though they may have never seen a bamboo plant. It is fascinating and yet not surprising that the symbology of bamboo relates to the medicinal qualities of the plant as well. Silica is the essence of bamboo and translated into our bodies it brings both strength and elasticity to us at a cellular level that permeates all parts of our body. What follows are five symbolic translations of bamboo from the Chinese culture. It’s a great time of year to think about what intentions you are setting for the coming year. I am using these concepts to think about the changes that I want to make daily in the New Year. What does bamboo mean to you? 1) Bamboo is known as the perfect gentleman in Chinese. It represents upright integrity with accommodating flexibility. This is echoed in it’s silica content. The large amount of silica allows bamboo to grow with great strength and yet remain flexible so as not to break. So in our lives as we look into the New Year can we find places to bring more of our steadfastness and yet be open to new possibilties especially the unexpected? 2) Bamboo represents the balance of grace and strength. It is the yin and the yang. I love that in a name we are given both gifts and lessons. Because to know happiness we must also experience sadness. And yet as we try to balance between polar opposites in our lives let us strive to do so with the grace of bamboo. We shine our gifts on the most difficult of situations because those are also where we will gain the most balance. 3) Bamboo is always ready. To be present in our daily lives is a struggle. In business and in our personal lives so much of what is needed is from us is to show up and be consistent. If we can stick with the simple tasks of kindergarten, of starting and finishing tasks, we will go far in the New Year for ourselves and for those who count on us. 4) Bamboo’s hollow culms represent humility. So many of our actions are based on pre-concieved notions of what we are suppose to do. Expectations passed down from people we may never have met. As we start to question why we do what we do, we can begin to re-write our own story of what we want and who we want to be. To be open to a new path, a new story, is a gift that we should give to ourselves everyday. So empty the vessel and open up for new beginnings. 5) Bamboo symbolizes longevity. The longevity not only refers to the life span of the bamboo plant, but also to it’s ability to adapt and to withstand extreme conditions. High winds will not pull a mature bamboo from the ground. Some bamboos can sit for extended periods of time in water, others can survive temperatures well below zero. Adaptability is key to longevity and bamboos do that very well. May the strength and flexibility of bamboo be pervasive in all aspects of your life. Peppermint Patty is an excellent blend of organic cacao nibs, organic peppermint, and organic Bamboo Leaf Tea. It was originally inspired by my son who is a mint-aholic. 🙂 I love this tea mid-morning or mid-afternoon when I am feeling just a bit of a dip and am starting to eye up the cookies or other sweets in sight. It has a wonderful light chocolate flavor with a minty freshness that perks you up and inspires you to new levels. So I thought I would get into a bit of the awesome benefits that this tea has by breaking down it’s components. I won’t go into the details of bamboo since you can read about that in other articles or check out my you tube videos. http://www.youtube.com/watch?v=-QrMcdPqPNc or Bamboo Leaf Tea on You Tube. Cacao is an excellent source of magnesium which most people are deficient in. Magnesium is necessary to build bones which makes this tea an excellent bone healer and builder. And don’t forget the teeth they also benefit greatly by silica and magnesium. Magnesium is a natural muscle relaxer thus improving the cardiovascular system and aiding in muscle tension. Cacao is rich in antioxidants, 10 times that of red wine, green tea, and blueberries. Cacao also contains phenethylamines and anandamide which aid in focus and concentration as well as feelings of love and pleasure. Wow what a combination! Cacao also contains chromium a trace mineral that aids in regulating blood sugar and increasing insulin sensitivity. This is another mineral that 80% of the population is deficient in so it is really important if you are struggling with blood sugar levels. Chromium also decreases bad cholesterol levels while increasing the good cholesterol. So huge benefits to the cardiovascular system! Cacao also contains zinc. Women who are on hormone replacement therapy or take birth control pills are likely to be zinc deficient. Zinc is important for reproductive health and fertility as well as overall energy levels. It also is important for brain function and has been shown to benefit those who struggle with ADHD. Mint is one of the longest used herbs used even before the Greeks and the Romans. It well known for it’s digestive benefits. It relaxes the digestive system and stimulates digestive enzymes. This really helps those that store tension in their stomach. Mint can relieve the pain as well as prevent it. The essential oil was often sprinkled on the table prior to a meal by ancient Greeks. Mint is excellent for nausea and headaches as well as relieving sinus congestion. Mint also is anti-inflammatory and can work both topically and internally. This tea is excellent as a foot bath especially for those who suffer from swollen feet. The combination of silica from the bamboo, magnesium from the cacao, and mint would make an excellent relief for any muscle tension as well. Simply make the hot tea and use a washcloth to apply it to the affected area or place several tea bags in the bath tub for an overall body tonic. So whether are looking for a supplement for your bones and teeth or relief for muscle tension, a digestive aid or help with regulating blood sugar levels and cholesterol levels or an overall feeling of wellbeing this is the tea to perk up your afternoons or wake you up in the morning. Enjoy! So we are all focused on the Olympics right now and, while many of us are not attempting that level of physical endurance, we are working our bodies hard and we need to give ourselves the nutritional support that we require. So what are some things that you can do to build your endurance and strength? Well silica is a great place to start. Silica supplements have long been used as beauty supplements adding strength to the nails and hair as well as promoting new growth. And now silica is being recognized as an important supplement for bone density, and connective tissue health. Silica builds collagen, the glue that holds us together. It works with calcium and magnesium to build bones. It has been shown to reduce the rate of time it takes for bone fractures to heal. It adds strength and flexibility to all cells of the body therefore improving the cardiovascular system. Silica helps to cushion and support joints by strengthening cartilage. As we grow older our absorption of the minerals we need tends to decrease unfortunately this is coupled with the increased need for those nutrients. This is especially true for women who are mothers because having a baby depletes the nutrients of the body in such a dramatic and intense way. I know for me having a baby was the most intense workout of my life and that doesn’t touch the requirements of the body to feed the baby during those 40 weeks. We are born with a lot of silica. It is the youth factor of our beginnings. I have a picture of my son sleeping in my mother’s arms in what is essentially a back bend position. He was completely comfortable and sound asleep. Children are bouncy and flexible and they heal easily. Part of that is silica. By the time we have reached adulthood we have used up 80 % of our silica bank. We are born with a bank of energy. They call it Jing in Chinese. It is what we grow from and as we do we use up that bank. Unfortunately we are not making deposits and that is where the problem comes it. By the time we become adults we have abused our body either physically, chemically, nutritionally, emotionally or more than likely all of the above. We haven’t done a lot to strengthen and give back to that original core that we started with. But the great news is that you can start anytime and every moment of every day is a new beginning. I love that about life! A great way to get nutrients is through teas and silica has been shown to be more readily absorbed through liquids than foods. This is impart due to the mouth being a great place to absorb nutrients! The skin in the mouth is very thin which makes it easy to damage but is also a hot spot for the absorbtion of nutrients. That is why it is so important to chew our food thoughoughly. It is also why smoothies and juicing are so important. Liquids make contact with larger amounts of skin therefore increasing the rate of absorbtion. Once food gets to the stomach it is greeted by a 4ph acid bath. Maximizing the amount of tissue that nutrients touch prior to the stomach and hanging out in the mouth for as long as possible increases nutrient absorbtion. This is why teas, tissanes, and infusions are an excellent way to take supplements. Bamboo Leaf Tea is high in silica which makes an excellent way to add more strength and flexibility into your life. The body and mind are connected and so increasing possibilities in one must do so in the other. Add some bamboo into your life and be open for change. Hydration. Everyone is talking about it but few are doing it. We all know that we need to drink more water but we don’t. Hydration can help with weight loss, can flush toxins from the body, and can give you more energy. So here are a few ideas to help put more liquids into your body on a daily basis. 2 glasses – Start every morning by drinking two glasses of water first thing after waking up. You have just slept for 8 hours (hopefully) and your body needs fluids. By drinking two full glasses of water every morning you are beginning your day by flushing out the old garbage that has been building up over night. I like to add 1 tsp of Bragg’s raw apple cider vinegar to each glass which has it’s own list of benefits. www.bragg.com If you are not used to drinking water you might have to work up to this by starting with a smaller amount and adding to it each day. Drinking liquids is like anything new you add into your life at first you have to work at it and build that muscle. Then eventually it will become automatic. If you don’t like water then drink un-sweet tea. Make yourself a pot of Bamboo Leaf Tea the night before and it will be ready for you in the morning. Remember to use a great water because you want a great body. chia seeds – Chia is the Mayan word for strength and is a great little superfood that really aids in hydration. There are many ways to use this seed so I’ll give you two of my favorites. One that my kids love is to add a spoonful to their morning juice or tea. I don’t like to give them sweet drinks so it’s a treat for them and they think the crunchy part is fun. You can also mix a spoonful into applesauce or yogurt or another medium of your choice. Chia seeds hold more than 10 times their weight in liquids so they act as a reservoir for hydration. The second way is to take it with you. Put 1 tsp of chia seed into your water bottle, add tea or water and hit the road. You can also add some dried fruit such as goji berries or cherries for some added flavor and nutrition. This will super boost your drink and is great for outside summer fun. tea – Working at markets and festivals gives me the opportunity to talk to a lot of thirsty people. I think that a lot of people would drink more if they had great options in front of them. So here is an idea. Go to Ross or Ikea and buy some glass bottles. I like the flip top ones. Then before bed take out a soup pot and bring water to a boil and turn it off. Add your favorite bamboo tea and let the tea brew overnight unless you are using green tea or relax tea only let those teas steep for 4 minutes. In the morning strain your tea and put it into the glass bottles. Now when you open your fridge there will be some great options for you to choose. Tea is an excellent way to add extra nutrients to your diet. So choose tea instead of that synthetic supplement and your body will benefit from the nutritional boost. Drinking tea is like eating whole foods. Teas are made from whole plants that have everything in them you need to absorb their nutrients. So get a variety of teas and have choices, healthy choices in your fridge and you will find it much easier to stay hydrated. It is a great feeling to open the refrigerator on a hot day and find a cold bottle of tea waiting for you. So stock up and get brewing. I love tea! It is great hot or cold and is a fantastic way to get extra nutrients into my body. So here are a few other ways that I like to use Bamboo Leaf Tea that you might like to try. Skin: Bamboo has the highest concentration of silica of any plant in the world. Silica adds elasticity to the skin and helps to build collagen. 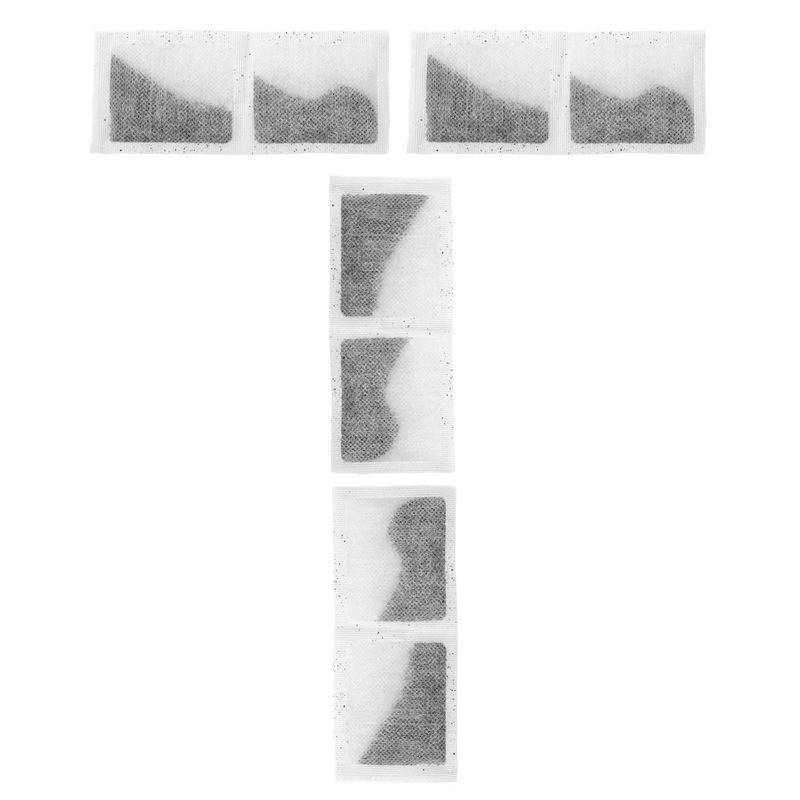 It can best be absorbed by placing tea bags directly onto skin blemishes, puffy eyes, or acne. Simply heat some water and place the tea bags into the warm water. Make sure the temperature is warm and soothing and not burning. Place the tea bags directly onto the area and relax for 20 minutes. Repeat daily for 1 week and check out the amazing results. Teeth: Silica works with calcium to build bone. Healthy bones mean healthy teeth. Bamboo also benefits the gums by strengthening them and adding elasticity. For problem areas in the mouth simply repeat the above process and apply the warm tea bag directly to the tooth or gum. Hair: Your hair is 40% silica and therefore requires silica to grow. Silica is often added to shampoos and conditioners but what type of silica is it? Organic bamboo silica is a great way to strengthen your hair and give it a beautiful shine. Bring 8 cups of water to a boil, add four tea bags and let steep for 1 hour or until luke warm. Pour the mixture over the hair and wrap in a towel. This can be left on all night or for several hours in the evening whichever is convenient. Wash the hair as usual and style. Nails: Don’t forget the hands and nails they do so much for you and are subject to the most abuse. Bring 4 cups of water to a boil and add two tea bags. Let the bamboo steep until the temperature is warm, not hot. Pour the mixture into a bowl and soak your hands and nails for 20 minutes. Rinse and follow up by rubbing a tablespoon of organic coconut oil into the nails and hands. Body: You’ve pushed your body physically and mentally and it’s time for something nourishing. Bathing in bamboo will flush your system with antioxidants,and over 10 essential minerals. Bamboo also has anti-inflammatory properties and detoxification properties. So choose the organic supplement of bamboo over the chemical spa treatment and your body will thank you by looking and feeling younger. Bamboo for the health of your body inside and out. Live, love, learn, and make healthy choices for your body. A big question when I buy food these days is where did it come from? Many times that is a question that is challenging to figure out. So in this video I wanted to show you where the bamboo that I use comes from. Here is a link to the video Bamboo Farm. There is too much value engineering on our food today and I like to know where my food is coming from and who is growing it. So I hope that this gives you a little view into the life of the bamboo before it arrives in your tea cup. Eat well and be conscious of your food choices.